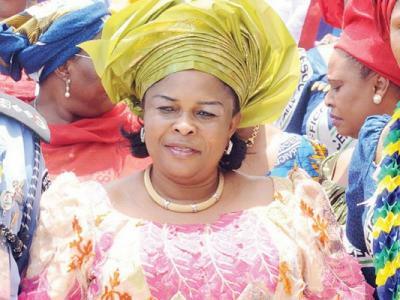 A Yenagoa High Court would on July 8 rule on a motion on notice seeking to strike out the name of the non-governmental organization of Nigeria’s First Lady, Mrs Patience Jonathan, Aruabai Aruera Reach-Out Foundation from suit on a land dispute. The Okposingha family of Okaka town in Yenagoa had dragged the Bayelsa State Government, the Attorney- General of the state, the Capital City Development Authority, Ministry of Housing and Urban Development and Aruabai Aruera Reach-Out foundation before a Yenagoa High Court in Suit NO YHC/264/2010 over the acquisition of a piece of land located at Korimazi bush, Okaka. In motion filed on its behalf by its counsel, Vivian Nma Onah, the NGO sought an order striking its name from the suit. The counsel noted that the fifth defendant who was not a juristic person, capable of being sued, prayed the court to grant further orders it might deem fit. In an affidavit, deposed by Mohammed T. Oba, a director in the non-governmental organization to support the motion, he maintained that the foundation was not a human being or an incorporated company. However, in a counter affidavit, deposed by Selenana Dumbo working in the firm of the counsel to the Okposingha family, it stated that it would not be in the interest of justice if the application was granted. He further stated that the fifth defendant carried on business and had been so engaged in various businesses with its name within and outside the jurisdiction of the court. Dumbo argued that the 5th Defendant is not immune from being sued in the name Aruabai Aruera Reach-Out foundation. According to him the Certificate of Occupancy granted to the 5th defendant was for commercial purposes. The lead counsel to the respondents, Soweniowor had also argued that the Court should not entertain the motion until it hears the motion of its clients. After listening to the argument and written addresses of the counsel to the respondents and the defendants, the presiding Judge, Justice Doris Adokeme fixed ruling on the motion for July 8.